If your transmission isn’t operating at its best, your ride could be anything but smooth. And with an automatic transmission—unlike a manual transmission—the driver certainly isn’t to blame. If you have a vehicle with an automatic transmission that isn’t cooperating, it’s time to take a keen look under the hood. Transmissions can fail and underperform for a variety of reasons. 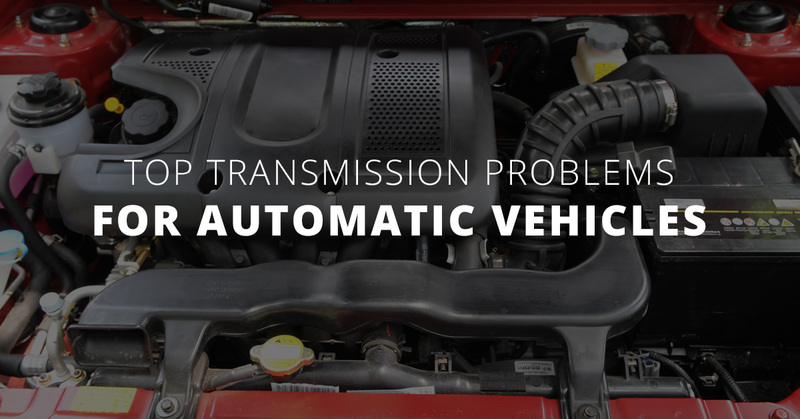 Let’s take a look at some of the issues and causes of transmission failure (and don’t forget, if you own a German auto, you can bring it into the shop here at Avalon for repairs and maintenance!). The concept behind an automatic transmission is simple: The engine utilizes specific gears to remain efficient and powerful. A well-designed transmission shifts between gears without a hitch. An ill-maintained transmission, however, could be unresponsive. If you find that you’re cruising down the road and revving doesn’t signal a smooth gear shift, your transmission is to blame. You could have a fluid leak or bad transmission fluid, or the gears within your transmission may be well worn down. If your car jerks between gears, if it takes too much time to shift, or if shifting doesn’t provide the power it should, it’s time to check in with your mechanic. Similarly, if your vehicle is slipping out of gear altogether, your transmission isn’t doing its job. It’s likely that you have a fluid leak in your transmission. Transmissions rely on transmission fluid to transfer power from the engine to the drive shaft. With low fluid, the gears can slip and disengage (and they can be damaged). If you’re experiencing slipped gears, take a look at your transmission fluid level (if you can locate the dipstick) or bring your vehicle into the shop. Fluid shouldn’t be leaking out of your transmission. In fact, the transmission should be completely enclosed and watertight. A leak can cause major problems, and it should be addressed immediately! If your check engine light is on, your transmission may be to blame. It’s likely that you’ll notice shifting problems in conjunction with the check engine light if your transmission is failing. However, the check engine light can flip on for a number of reasons. You’ll have to take your vehicle into the mechanic to get a true diagnostic of the issue at hand. We can perform a diagnostic test to determine the source of the check engine light trigger. If you own a German vehicle, you can count on Avalon to provide your transmission repairs and maintenance. If you notice that your transmission isn’t responsive, has less power, slips out of gear, or has a triggered check engine light, bring your vehicle by; we’ll take a look. Also, we recommend that you have your transmission flushed every 30,000 miles, or two years. Regular transmission flushes will keep your transmission running smooth. Prevent damage from degraded transmission fluid with regular flushes. Schedule your transmission service today! Avalon Motorsports is conveniently located on East Colfax in Denver.